The big reveal of the Frostbike weekend from the QBP brand family was unquestionably the new Salsa Warbird, their premiere gravel racing and riding platform. 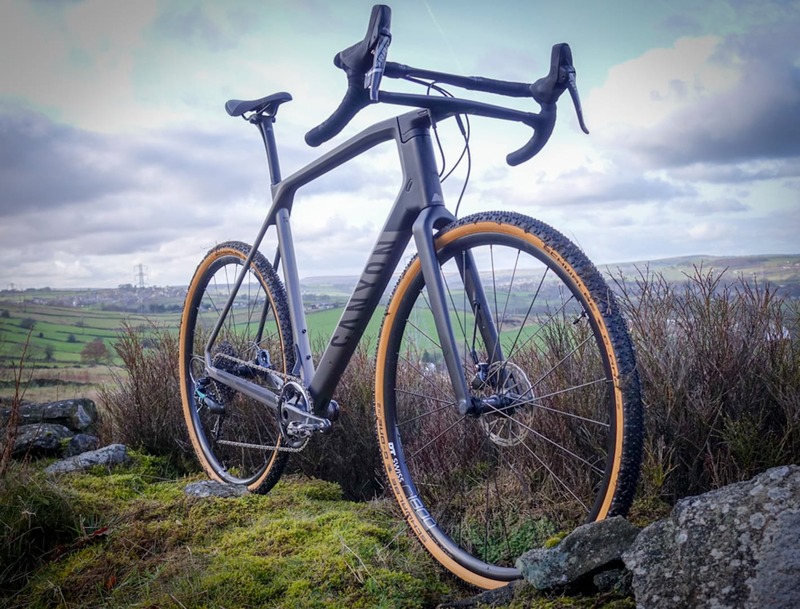 One of the primary ways to go faster when the gravel races start turning into 100, 200 or even 300 mile epics is for the rider to be more comfortable, more aerodynamic, or both and the Warbird frameset was designed with both of those tenets in mind. 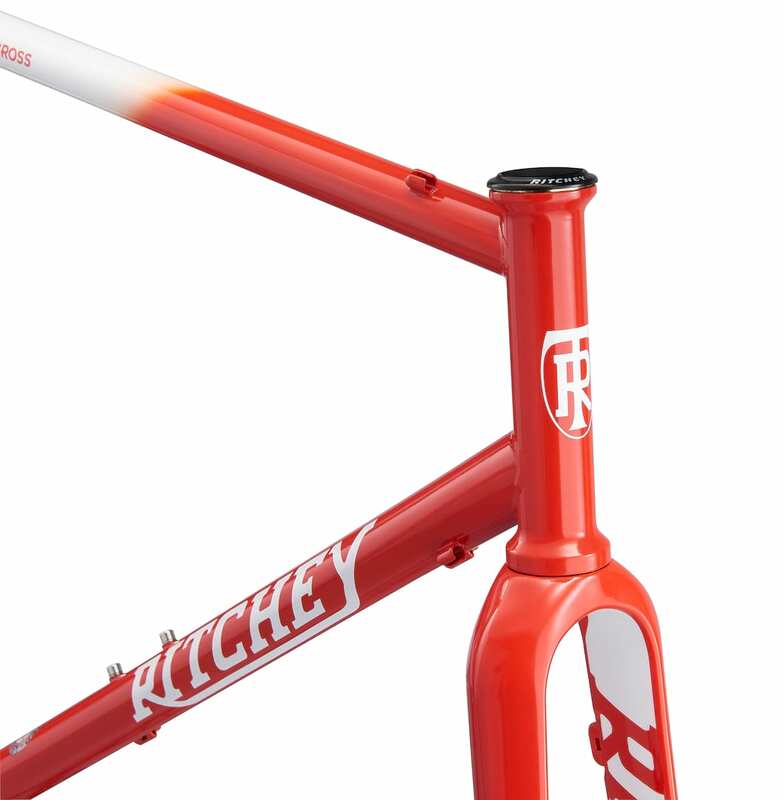 Available in either aluminum or carbon frame platforms with matching full carbon Warbird fork, the nearly identical looking Warbird chassis stand out with aggressive tube sculpting, and outwardly bowed seatstays that Salsa claims creates bikes quantitatively more comfortable than baseline, their own triple butted titanium Warbird. The shaped rear triangle of the Salsa Warbird features what they call the Class 5 Vibration Reduction System, pulling naming inspiration from a USA classification of gravel used on the very roadways this bike is meant to race along. Tall, thin, outwardly bowed seatstays lacking a bridge create the longest and most compliant shape from seat tube to axle; horizontally flatted chainstays control lateral movement; a thru-axle ties it together for vertical compliance and uncompromised power transfer. It’s a tale anyone who’s read of the latest and great has heard before, but Salsa backs it all up with convincing accelerometer measurements at the axle, saddle, and handlebars done in real world conditions by their own lead mechanical engineer that happens to be an accomplished gravel racer. Analysis shows a 9% vibration reduction with the carbon frameset and a 6% vibration reduction with the aluminum frameset against the titanium Warbird — impressive numbers, especially for aluminum given its perhaps overblown if earned reputation as a harsh riding frame material. The Class 5 VRS also increased the tire clearance to a 44 mm max on the carbon frame and 42 mm on the aluminum version, a definite improvement over the previous version that allows many more tire choices. In other changes, the stack height has been lowered for slightly better aerodynamics and the shift cables run internally through the downtube. The brake line remains external for serviceability, but could be run through the downtube if one were to opt for a single chainring or Di2 drivetrain. The Warbird fork now uses a 15 x 100 mm thru-axle and has been changed from a 1.125 to 1.5″ tapered steerer to a 1.125 to 1.25″ tapered steerer as part of the overall effort to improve both steering precision and comfort. The Warbird Carbon will be available this summer in either white or black, complete with a SRAM Rival 22 hydraulic build at $3499 USD or as a frameset for $1999 USD in six sizes, 51 cm – 60 cm. Claimed weight for the 52 cm Warbird Carbon is 1210 g, with the uncut fork at 410 g. Aluminum versions of the Warbird are available in 11-speed Shimano 105 or 10-speed Tiagra packages each featuring Avid BB7 mechanical disc brakes, for $2499 USD and $1999 USD respectively, and are available right now. The aluminum frameset with Warbird carbon fork will be priced at $999 USD. In a world of disc brakes there aren’t many new rims hitting the market for rim brake adherents, but Velocity USA hasn’t forgotten about the touring, gravel and even now vintage repair markets. The Cliffhanger is an all new rim with an old name, meant as a strong choice for loaded touring or even cargo applications where the 675 g weight (700c version) is of less or no concern compared to the need to roll true mile after mile. Short, stout sidewalls and a thick spoke bed evident in the pictured extrusion make it clear durability was first on the list, and the shape also just happen to look classically correct on traditional touring builds. The rim is a generous 30 mm wide (25 mm internal width) and is available in 20″, 26″, 650b and 700c sizes in 32, 36, 40 or 48 spoke drillings and either black ($82 USD) or a striking polished ($90 USD) finish.